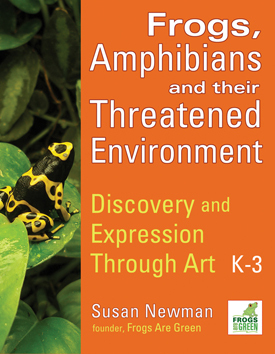 Frogs Are Green is pleased to showcase in our new “Eco Interviews” section, environmental and amphibian causes, eco-friendly authors and speakers, and green businesses. If you would like to be interviewed, email Frogs Are Green for the questionnaire. Mike Maka, Mural Artist Frogs and more! Coyote Peterson, Swamp Monsters, Brave Wilderness and Polar Ghost!